JENNIFER’S MOTIVATION TO BECOME A MONTHLY DONOR CAME FROM HER EXPERIENCE AS A FORMER CLIENT. We met Jennifer when she was a junior in high school, struggling to find joy in life and often feeling overwhelmed by the pressures and concerns of growing up in poverty. However, life as she knew it changed when she decided to attend Belay. The following summer, Jennifer participated in Summer Challenge, TTLM's junior-job-training program, where she was able to dedicate six weeks to nurturing these new relationships and focusing on her personal development. At Summer Challenge, Jennifer learned valuable skills including how to find a job, how to keep a job, keys to making a great first impression and tips on creating a professional resume. The group also focused on life-skills such as doing laundry, preparing and maintaining a budget, and conflict resolution - lessons that would prepare them for life after high school. Jennifer attended Belay for two years and participated in Summer Challenge twice before going off to college where she received a bachelor's degree. When she returned home, Jennifer began looking for work and searching for ways to give back to the community that helped her grow up. She contacted True To Life Ministries and signed up to become a student mentor with Belay as well as a transportation volunteer to get students to and from TTLM for Summer Challenge. However, she still wanted to do more. Jennifer recalled how that same support made a world of difference in her life ~ the hope that she experienced from those who believed she was capable of accomplishing great things and the way they continuously encouraged her to keep going. 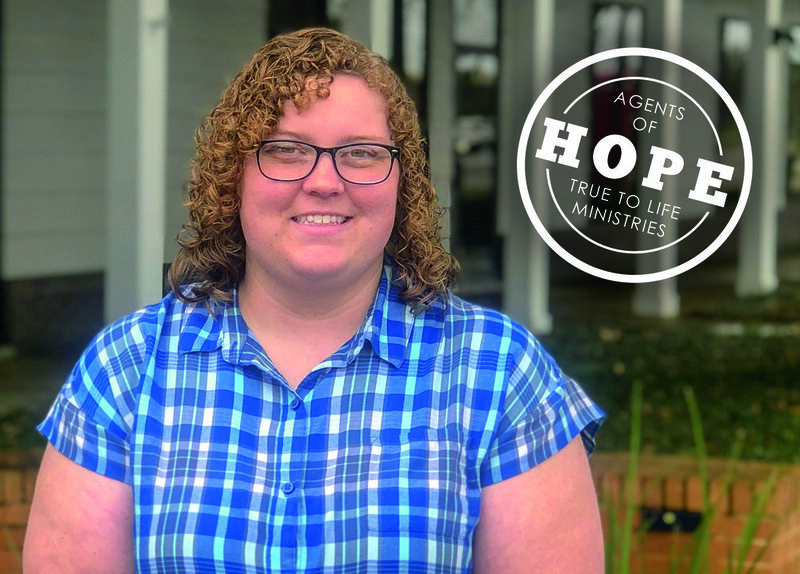 We invite you to join Jennifer and other TTLM Agents of Hope in partnering with us monthly to ensure that our programs and services will be available for years to come! Yes! I want others to have the skills, resources and community of support they need for lasting life-change!